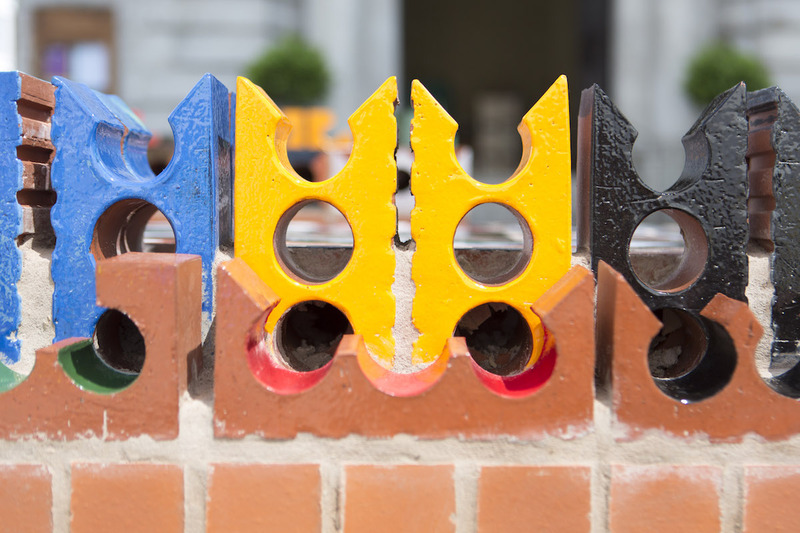 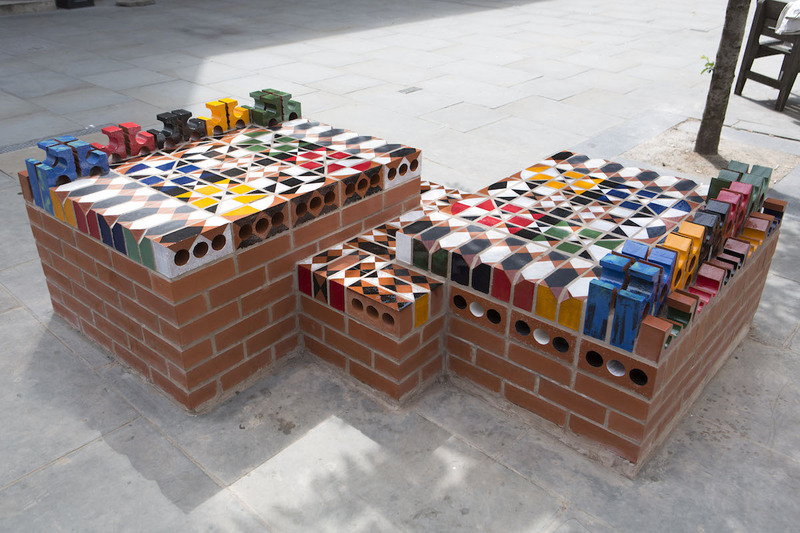 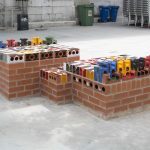 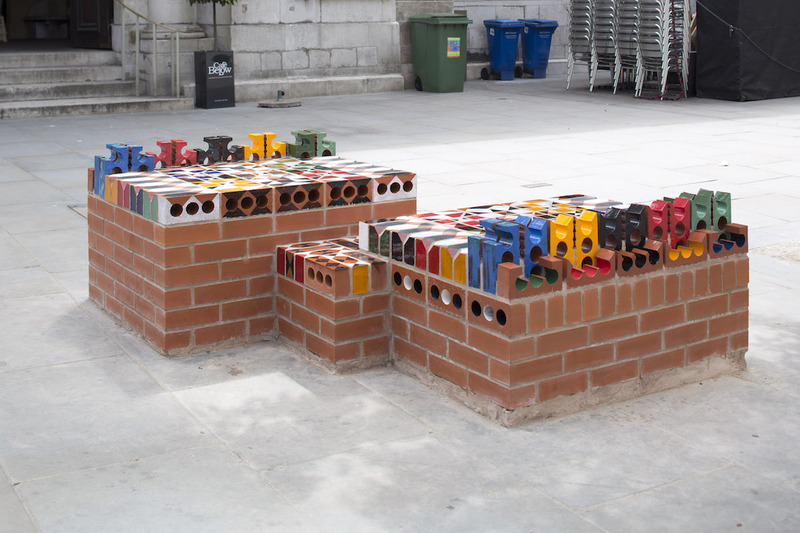 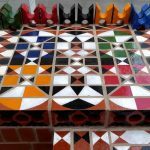 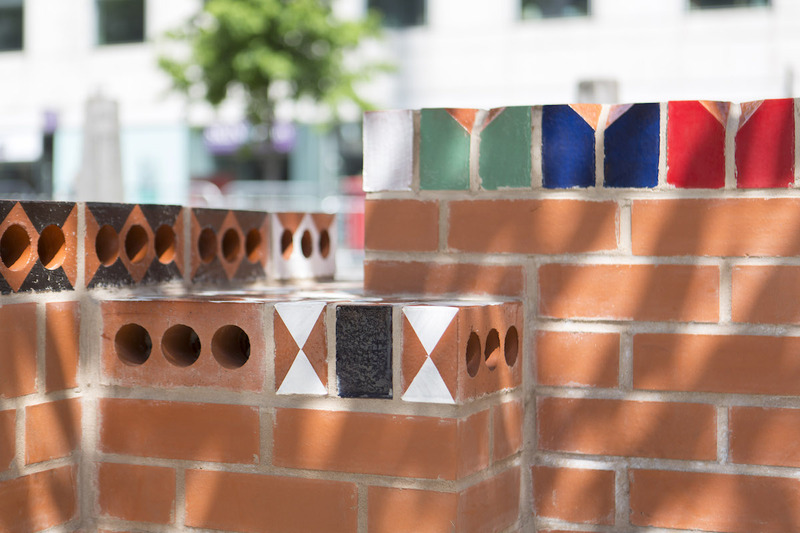 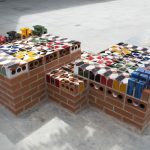 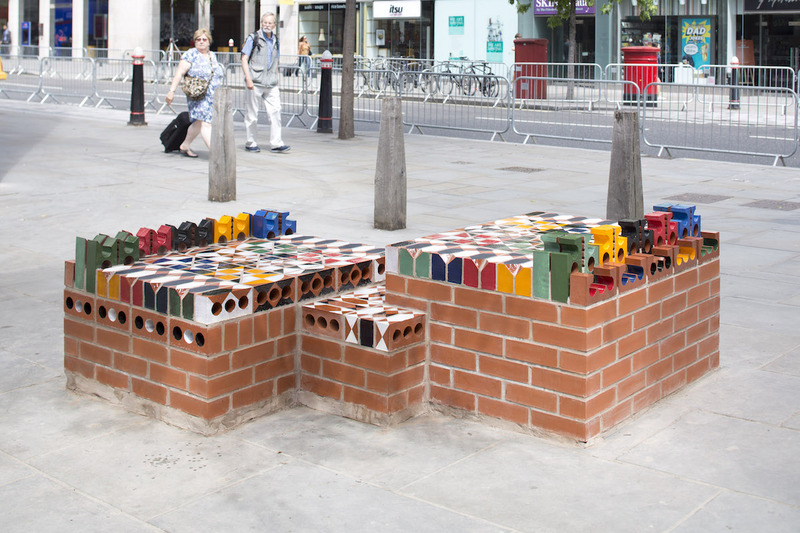 The Ceramic City Bench was constructed out of standard clay bricks that have been sculpted while raw, coloured and glazed. 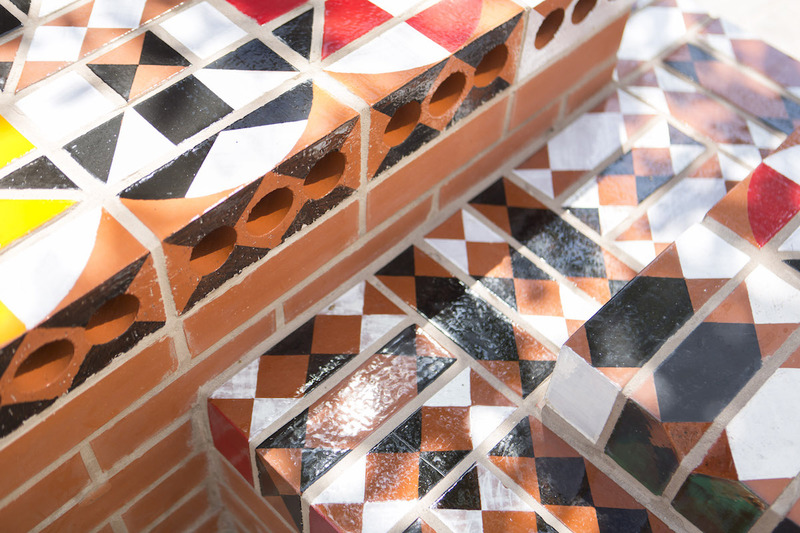 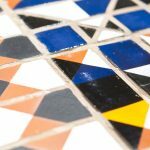 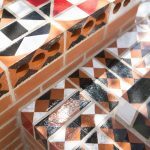 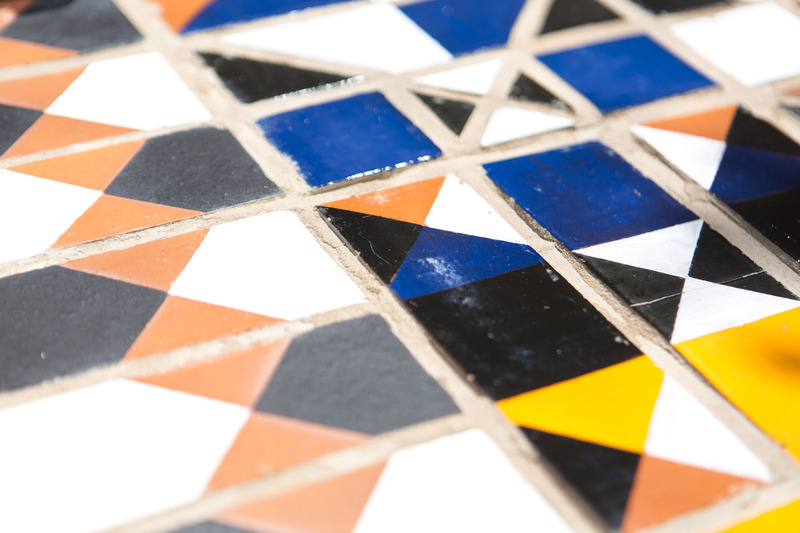 Colours and motifs of the seat offer a playful pattern that reflects the history of the site and contrast with monochromatic urban surroundings. 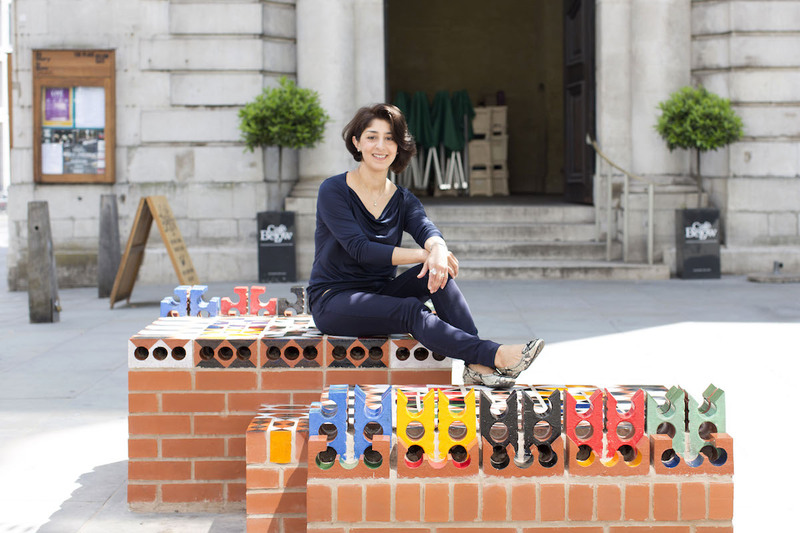 The bench, arranged in varies heights, offers flexible seating arrangement to rest, have lunch and work. 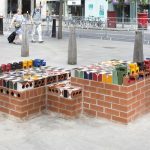 It aims to attract different ages. 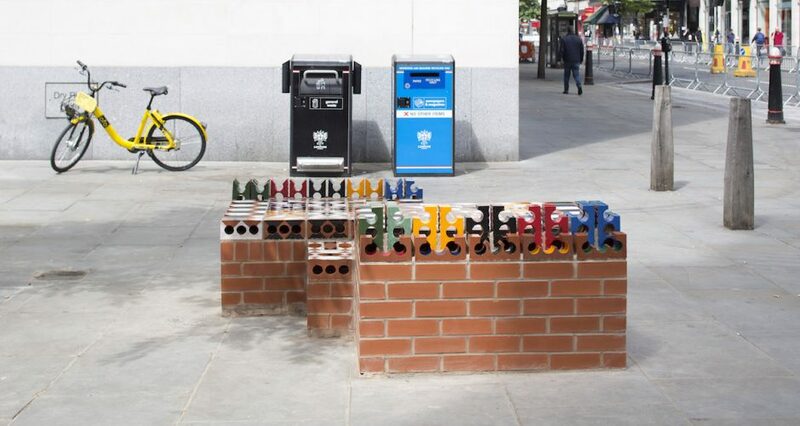 The modular design of the bench allows it to be extended and arranged in various ways to fit different sites. 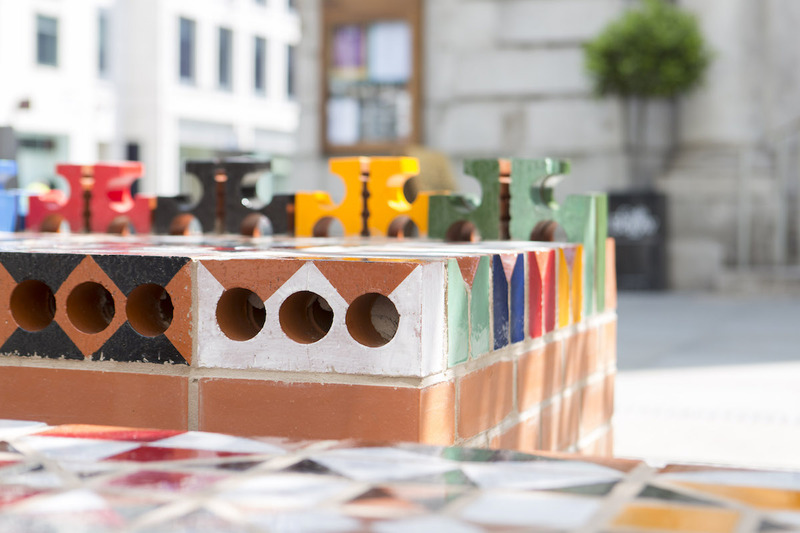 The colors and patterns of the surface of the bench were inspired by the multilayered context of the City of London that has been for centuries a place for trade, exchange and religious diversity. 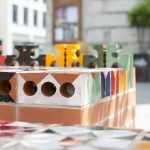 The tactile surface of the bench offers surface qualities that would be difficult to achieve outdoors with any other material, offering those passing by a place to sit, connect and feel at home. 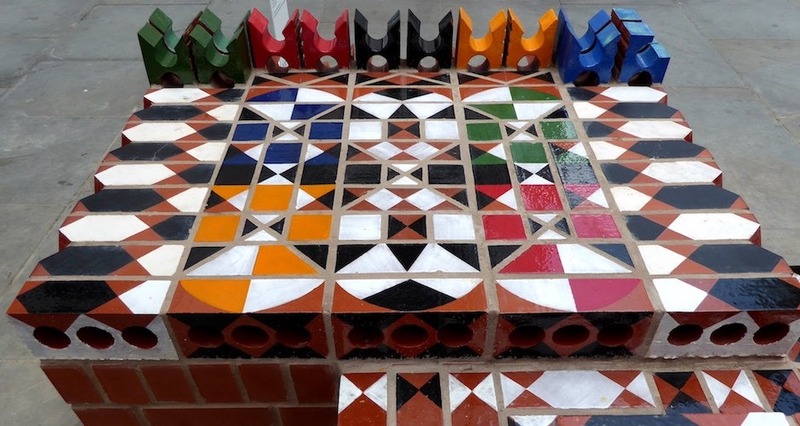 The design maximizes the unity of the bench giving the maximum opportunity for people to sit but not to lie. 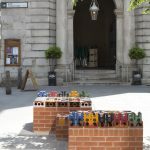 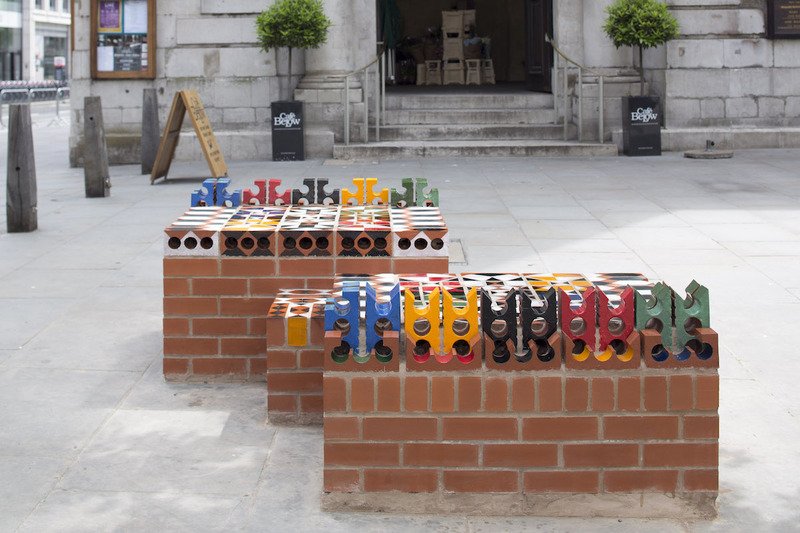 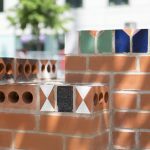 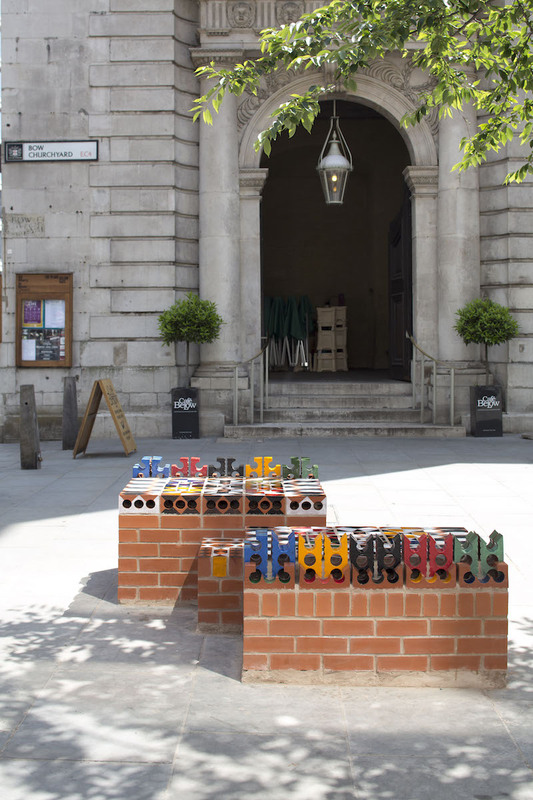 The bench was enjoyed by visitors and people leaving and working in the area during the London Festival of Architecture 2018 and was shortlisted for the UK Brick Award 2018. 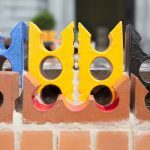 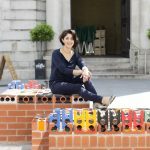 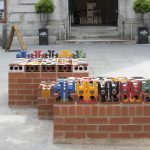 London Festival of Architecture | Winners announced for ‘City Benches’ design competition by LFA, City of London Corporation and Cheapside Business Alliance.